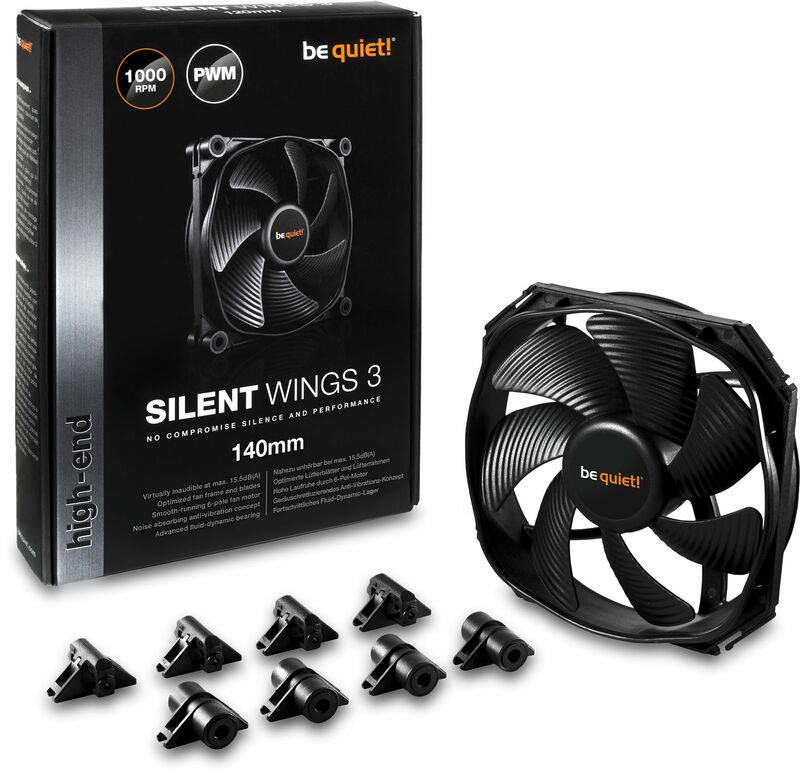 The SilentWings 3 is perfectly balance between cooling and silence with a maximum airflow of 15.5 db(A) and meets all the requirements to be a perfect choice for cooling. be quiet! SilentWings fans stand for state-of-the-art technology, virtually inaudible operation and superior cooling. The third generation of this award-winning fan series offers unrivalled and uncompromising performance with a broad range of meticulous optimisations. 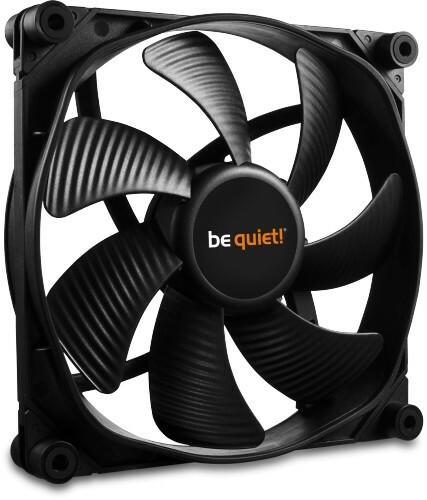 They feature a smooth-running 6-pole motor, an advanced fluid-dynamic bearing, a unique airflow-optimised fan blade design and a fan frame with funnel-shaped air inlets. The six poles of the motor produce a smoother transition between the magnetic poles. This results in very low vibration and silent operation with less energy consumption. The SilentWings 3 140mm model combines all of the above best-in-class features. It strikes the perfect balance between cooling and silence with a maximum of 15.5 db(A) and meets all the requirements to be a perfect choice for heat sinks, PC cases and radiators.